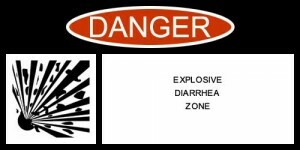 Generate Warning Labels for Fun and … well Fun! Have you ever wanted to create a warning label that was worded just the way you want? Well, now there is a web site that allows you to do just that. 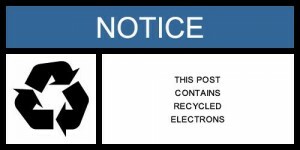 Warning Label Generator to the rescue! All you need to do is select the warning label, icon and message. Then press a button. “Presto Chango!” Out comes your warning label ready to save to your hard drive. You will need to right click on the image that is generated and save the file to your hard drive (usually “Save Image As” or something similar — depending on which browser you’re using). 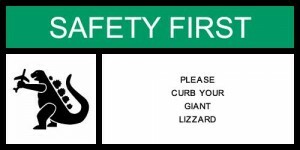 Make sure that you give a descriptive name because each label is named warninglabel.jpg by default. You can do lots of fun and silly stuff with this — see the ones that I came up with! 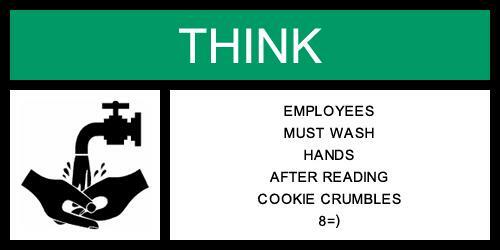 You can even use it to create actual warning labels if you really need to get serious –but who wants to get serious? Let’s see what you can come up with! Create some labels and put them on your web site, or Flickr or where ever you share photos. Then give us the link in the comments. Let’s get creative!